Surprise! Don’t you just love surprises? I know I do. Especially surprises like “you’re doing a 2k time trial in your single tomorrow, and then a side-by-side 2k on Saturday”. It’s like Christmas has come early! Or that the NSR has come early. So, after having taken some time off over the past few weeks to recover from a massive sinus infection I’m lining up tomorrow with my very quick, very fit US Training Center teammates for an open 2k. Have I done any race prep yet this year in my single? Absolutely not. Nothing I can do about that except do whatever I can tomorrow to get down the course as fast as possible. Yow!! In other news, spring has sprung in New Jersey and despite today’s “surprise” at practice this morning, I am in high spirits. I had a bit of a rough go of it over the past few weeks with the aforementioned battle with a sinus infection, which was capped by a broken tail light on my truck, my back flaring up, losing my cell phone and running out of gas on the side of Route 1 (all in the same day). Having now exited the Twilight Zone (a common happening of living in New Jersey) I am through my antibiotics, my back is feeling strong, I have new shoes (that fit!) for my Fluid single, and we have had great rowing this week. I know that my absence from training this spring has put me behind my teammates, but I intend to fight as hard as I can with what skills and speed I have to produce the best possible performance I can in the single–starting tomorrow, and then building off of that for next week’s NSR. I am good and tired from this morning’s 2x4k work in the singles, so I’m off to marinate some chicken for grilling tonight, and re-plant some seedlings in the garden that were destroyed by some sneaky nocturnal enemy. Then it’s off to weights and enjoying the rest of this awesome day. Before I go, I want to just write a short note re: my last post, which I wrote in hopes that someone might Google what to do with a lost cell phone in Princeton, NJ. I never heard back from my mysterious phone lifter, who sent just one message to one of my teammates to try to return the phone before the battery died. All they would have had to do was take it back to a T-Mobile store (of which there are only one in Princeton) and I could have had my phone back. I know you’re busy, I know it was stupid to leave my phone at the register at Target. But a small gesture like returning my phone would have been a huge help to me and I would have been really grateful. Now, instead, you will be karmically punished. And I couldn’t be more pleased. The man who pulled over to help me on the side of Route 1 gave me this. 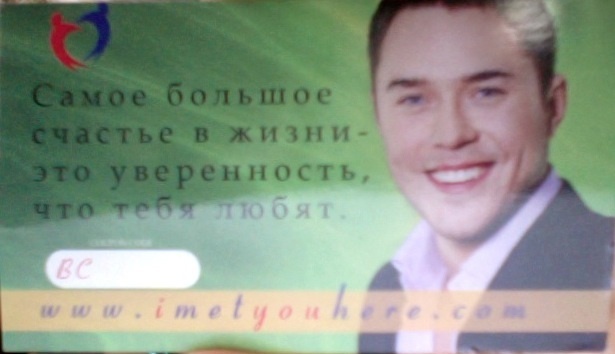 It's a card for a Russian Dating website. Since no one returned my phone, I got a new one. And it's pretty sweet. I was really pleased to find this big mama moved in to my garden yesterday. 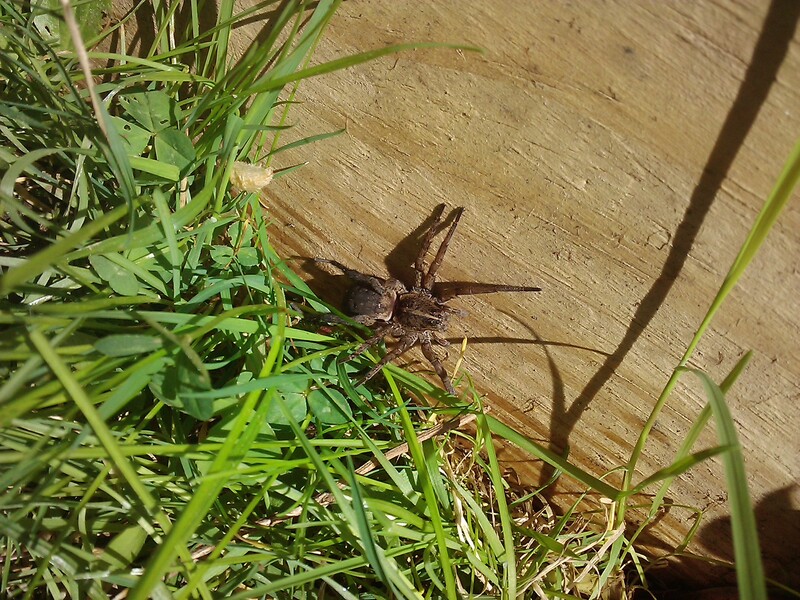 Adult wolf spider, garden guardian extrordinaire.